Whether you're a local or just visiting, you know Vancouver is home to an abundance of wildlife. But how do you get a closer look without hurting the habitats you came to see? That's where we come in! 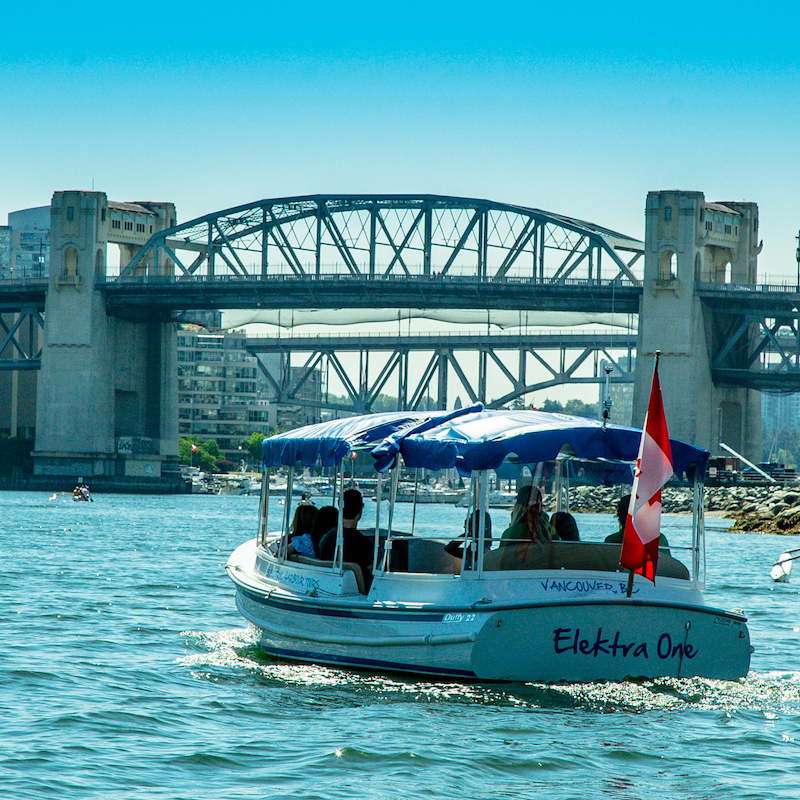 Electric Harbour Tours is the first sightseeing company in Vancouver to offer zero-emission, electric boat tours. Our ultra quiet, whale-friendly boats offer perfect wildlife viewing opportunities in a way that conserves the environment. Enjoy the sights of the towering North Shore Mountains and the glimmering Vancouver City skyline. How do the eBoats work? With over 40 years of development under their belts, our eBoats run on 100% electrical power with battery banks that can hold a 10 hour charge. 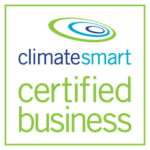 This means they are the vessel of choice for the California Fish & Game Department, and are used world-wide to access environmentally sensitive waterways. 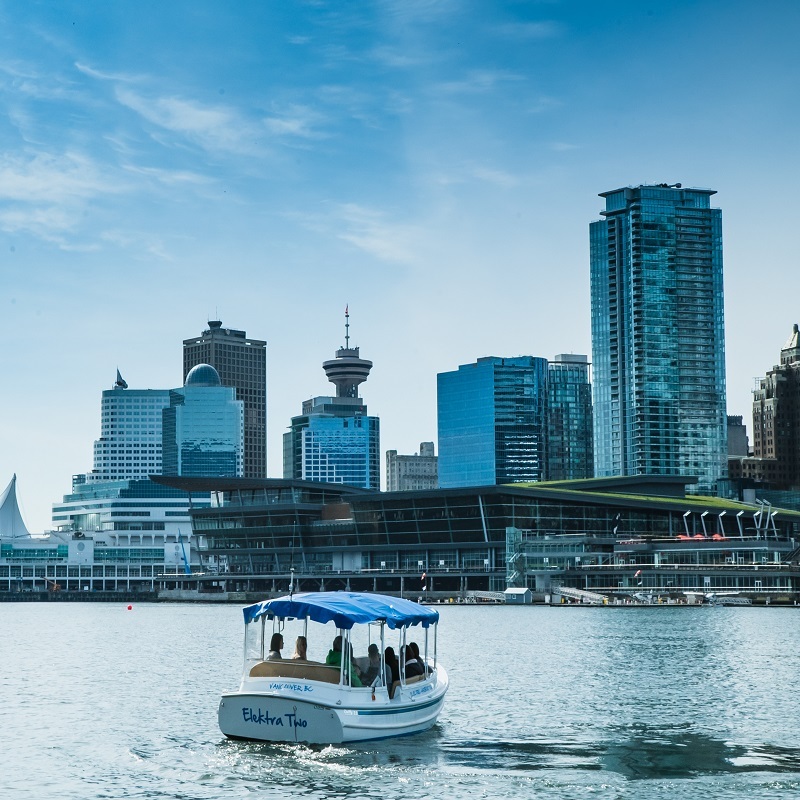 Our boats glide silently around Vancouver's world-renowned waterfront sights, and you'll be glad know that you've reduced your own impact on the area. With no air, water, or noise pollution, everyone wins! 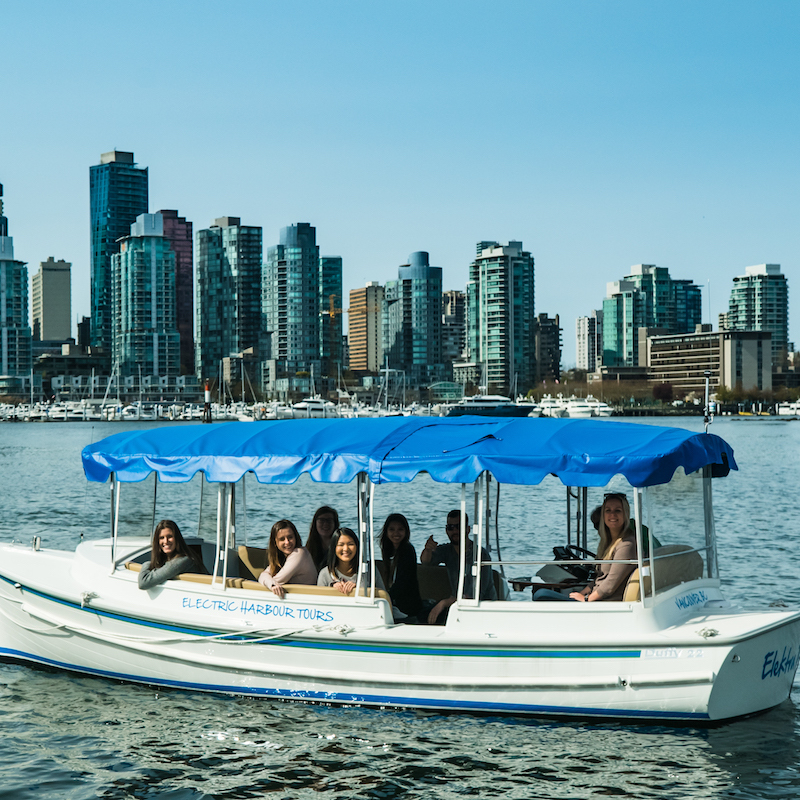 Vancouver’s first Zero-Emission Electric Boat showcasing Vancouver's Inner Harbour.